The area around the cemetery was known as Fitzhugh Mills. The Fitzhugh family had a mill east of the cemetery. The cemetery is called the Fitzhugh Cemetery and was donated by the Fitzhugh family, through their lawyer, after the death of Gabriel Fitzhugh. The deed was recorded on September 6, 1873, and is listed in Vol. 108, p 503. The deed makes it sound as if Gabriel Fitzhugh was the first burial, dated 1855. The church in front of the cemetery is the Forest Grove Christian Church and some people call this the Forest Grove Cemetery. The congregation recently got a historical marker. 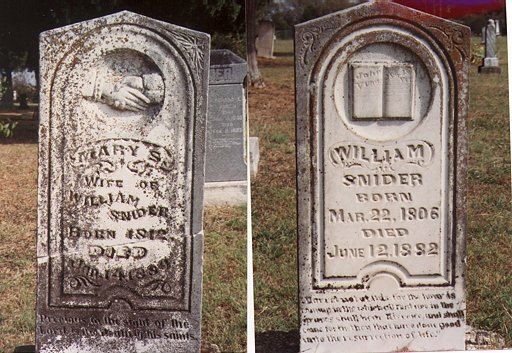 This is one of the oldest cemeteries in the county. It is very large, covering at least 10 acres, and is active. There is a stone entrance on the southwest end. 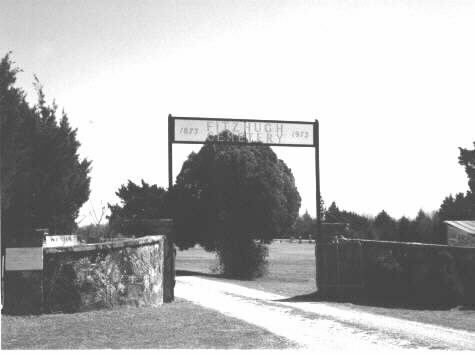 The arch over it says, "Fitzhugh Cemetery" with the dates "1873 to 1973." It is fenced and well maintained. The older stones in the back of the cemetery could use a lot of repair work. Many of the stones are broken off and lying against trees. It is said that many of the graves of early-day settlers were unmarked and cannot be found.